Comment: I have a small 8x8 kitchen (with a light) in the middle of the kitchen that I would like soundproofed. The Neighbors walk around upstairs causing my chandelier to rock back and forth. I have foam in the bedroom and den Very Effective. Comment: I need a shed insulated. The shed is 24' x 16' with 92" walls. Comment: We wish to add batting insulation in the attic over the garage ceiling. 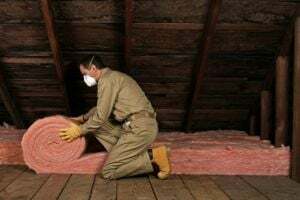 Comment: There is approximately 500 square feet in my attic that has no insulation above finished rooms. A Window Pro Contracting, Inc.
Miller Insulation & Acoustics, Inc.
Sarasota Insulation Contractors are rated 4.84 out of 5 based on 650 reviews of 13 pros. Not Looking for Insulation Contractors in Sarasota, FL?